It wasn’t too long ago that any phone priced around £100 would be a complete joke. And while Alcatel’s most recent attempt at making a phone that cheap still had some hiccups, the next version of the budget-friendly 1X looks like it’s taking some big steps to fix its mistakes. Right away, a side-by-side comparison between the new and old versions shows how far the new 1X has come. Not only does the new 1x’s display feature a resolution that’s twice as pixel-rich (960 x 480 vs 1440 x 720), the improvements to its brightness and colour saturation are easy to see even if you haven’t had your eyes checked in a while. On top of that, Alcatel has slimmed down every dimension of the phone while also upping the size of its screen from 5.3 to 5.5-inches, while simultaneously polishing the phone’s plastic back into something that feels like a better version of the sandstone texture OnePlus abandoned a few years back. Around back, the new 1X features a fingerprint reader and dual rear cameras that consists of a 13-MP main shooter, along with a second 2-MP depth sensor so the 1X can shoot those shallow depth of field shots like more expensive phones do. 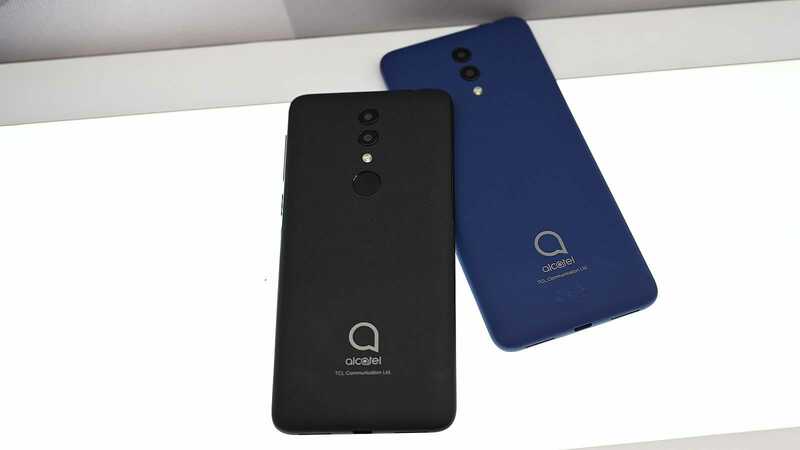 But perhaps the 1X’s biggest upgrade is what Alcatel included to help solve some of the lag and stutter we encountered on its predecessor: The new 1X sports a faster 1.5Ghz quad-core Mediatek MT6739WW processor. Additionally, Alcatel boosted the old 1X’s base RAM from 1GB to 2GB. Those two improvements might not sound like much, but for a phone that costs this little, every extra bit of performance counts. There will be a version without a rear fingerprint reader that could end up even cheaper. Alcatel swapped out Android Go for a full-fat version of Google’s mobile OS., but unfortunately, the version of Android pre-loaded on the 1X, 8.1 Oreo, is a bit dated. Come on Alcatel, Android 9 Pie was released more than five months ago. It’s a new year, there’s no need to keep trotting out old versions of Android in 2019. My other minor gripe is that while the 1X does have a headphone jack, it’s also saddled with a micro USB port. This year is the year that port needs to die. Thankfully, the 1X comes with a decent-sized 3,000 mAh battery, which is the same size as what you get in LG’s flagship G7, which is a much more expensive and power hungry phone. 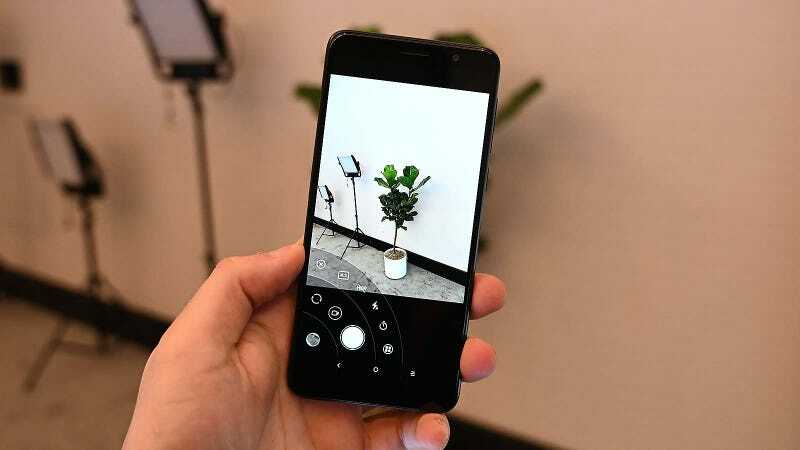 Alcatel’s one-handed camera controls should be a nice addition for selfie lovers, and it can be used on both the right and left side of the phone. And as one small nod to usability, Alcatel equipped the 1x’s camera app with a nifty one-handed UI, so you can snap selfie without straining your thumb, if that’s your kind of thing. 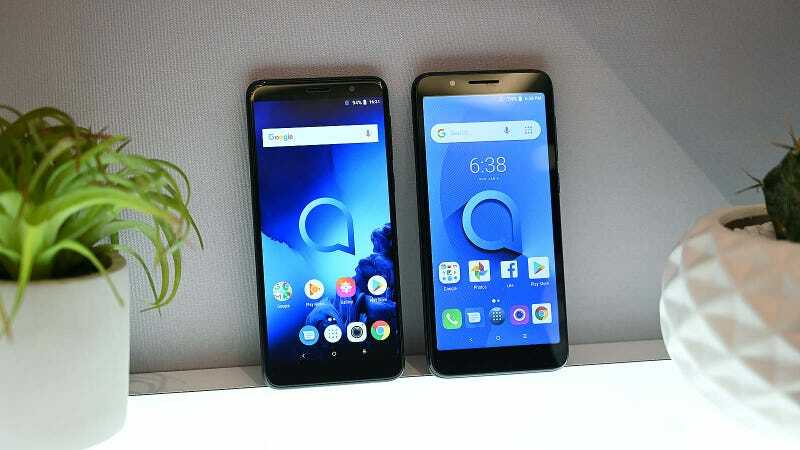 Alongside the 1X, Alcatel’s parent company TCL also showed off some concept tech that points towards a more interesting future for TCL’s family of phones. 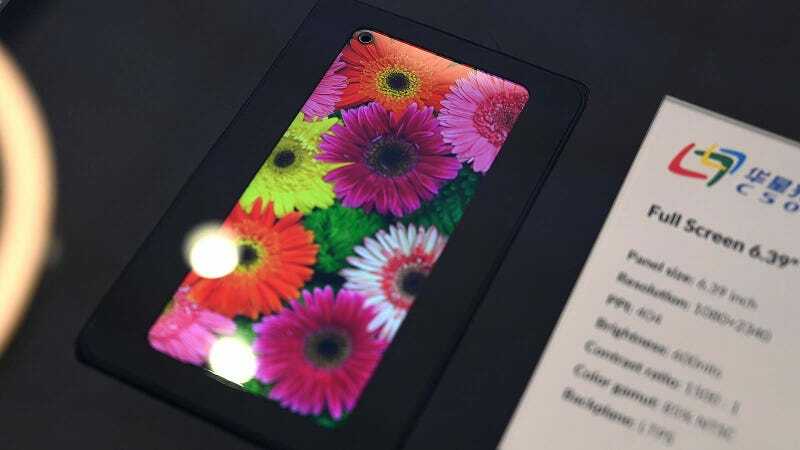 Next to a demo device with a curved glass display, TCL also had a working screen with a hole-punch selfie cam, a feature that’s poised to become one of 2019's hottest trends. Here’s another example of why hole punch selfie cams are going to be big in 2019. Ok, now back to the 1x. With all of its improvements, there had to be a small increase in price: it'll be around £120. For someone who appreciates good cheap phones just as much as the expensive ones, that’s a price hike I can live with. Now we just have to wait for networks to pick up the 1X, which could happen later this quarter when the 1X officially becomes available.